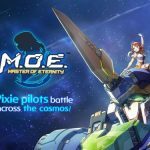 Developed by Wright Flyer Studios or WFS, Inc. and published by GREE, Inc., Another Eden: The Cat Beyond Time and Space is the newest modernized classic JRPG to hit both the Apple App Store and Google Play Store. 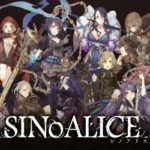 Accumulating more than a hundred thousand downloads and loads of positive reviews in less than a month after its release, Another Eden promises to provide hours after hours of gameplay banking on a well-established balance between a riveting storyline, hosts of well-designed and memorable characters, and simple game controls that’s easy for everyone to learn and enjoy. For fans of classic RPGs, it’s important to mention that Another Eden’s scenarios and script was written and directed by Masato Kato, who worked on some of the most memorable RPGs of all time like Chrono Trigger, Chrono Cross, and Xenogears. It’s not just for long-time RPG enthusiasts, though, as Another Eden can prove to be a great game for newer fans of the genre as well as other players just starting to play JRPGs. Another Eden sets you up on a fantasy world that follows the story of Aldo, a newly-promoted village guard, and his sister Fienne. Following the abduction of Fienne, by villains who intend to use her dormant powers to rid the world of mankind, and Aldo’s failed attempt to thwart her kidnapping, Aldo is mysteriously sucked in through a portal across time and space and becomes involve in a variety of missions that leads to the fulfilment of his quest to save Fienne. Time-space rifts take you through the past, present, and future as you meet new allies to aid you in your journey. Another Eden follows the simple and typical JRPG formula of having a main story quest, some side quests, and level grinds in between. On top of reaching, or exceeding, the needed character levels to triumph over the quest at hand, a well-rounded and strategically sound roster of characters in your party is important. Though acquiring additional heroes for your roster follows a gacha-style acquisition, the means to obtain Chronos Stones, which is the currency you need for Hero Encounters, is relatively easy. Though earning top-tier characters can be made faster through spending real money, grinding to earn more Chrono Stones makes Another Eden a great game even for everyone. There’s not much tutorial needed in Another Eden as everything is as simple as it looks. As a side-scrolling RPG, it’s simple and easy to navigate through the map and everything else is just a click of a button. Battle mechanics are relatively simple as well as you can tap on each character to switch the skills they want to use and there’s only one attack button to click on for the whole party. It’s a simple level up method as well with not much tinkering required. There’s an ability board to allot skill points on and it’s pretty straightforward. Farming money to buy 3 and equip 3 pieces of equipment for each character is also as simple as it can be. Overall, what’s really important to progress through the game is time and dedication. The more time you spend on grinding and farming, the better you will be for each battle ahead. 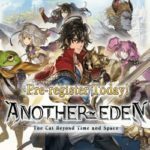 If you are having a few bumps on the road towards progressing in the game or simply looking for better ways to move through chapters more efficiently, then our Another Eden beginner’s guide, including tips, cheats and strategies, can help you progress through the game with relative ease and help you grab more heroes on the way. Like many JRPGs since its inception decades ago, Another Eden’s main storyline is broken down into chapters and each one is further divided into a series of quests. In addition to these main quests, there are various sub quests that can be initiated by approaching NPCs with exclamation marks on each town you visit. In most occasions, it is best to run through town and approach each NPC to initiate simultaneous quests before running around further to progress them. As some quests do require you to venture into dangerous areas outside of town, be sure that your health is fully restored before heading out. Remember that each town has an inn of some sort where you can rest to restore your health totally free of charge. Not all quests involve battles and some usually just take some time to complete and requires you to travel from point A to B multiple times. Regardless of the type of quest there is, be sure to accomplish all of it as you will earn Chrono Stones which are mostly valuable especially if you want more heroes to join your roster. Typically as well, side quests that involve defeating a certain opponent will be a lot easier compared to main quest battles and as such, engaging in more battles for experience points and levelling up your heroes will be beneficial for you in the long run. After just a few minutes into the game, you will be given a great opportunity to pick one 4-star hero from among a wide array of equally attractive characters and you may find yourself wondering which one to get. While all these characters are quite useful, and any choice would potentially be as good as any other, it goes without contention that you can choose anyone you want except for Miyu. As of this writing, you can get Miyu for free instantly when you download and play the game as a reward for pre-registration reaching a certain milestone. You can preview what each of the characters can do and if you can’t decide at all then you might as well go for Ciel. Ciel’s Valor Chant, which triggers when she steps in from the reserve slot, boosts the entire party’s intelligence and speed by 10% which is a pretty big help all throughout the game. Once you levelled her up enough and earn ability points, her Bard Skill. Elemental Song, grants the entire team with an increased resistance of 30% for 5 turns which is very important in most late game battles and challenges. There are various classes of characters in Another Eden and while some of them may look similar based on the type of weapons they can equip, you can have a clearer view of each one’s strengths and capabilities by by viewing the status of the characters, for their strong stats, and the skills they have as well as the ones that can be unlocked. Just to have a quick run through, melee fighters more likely have higher HP and defense and ranged fighters have higher attack but lower defense. Some classes have healing abilities which are of utmost importance while others possess support spells and enemy debuffs which can be pretty helpful in a lot of situations. Basically, the first few characters you will join your team following the game’s story represents an already great chemistry of how to set up your party, there will initially be available spaces for reserves but at least try to keep the roster balanced when you switch in and out better characters that you acquire through the encounter. There are various elements available in the game as well. Fire, Water, Wind, and Earth. Though some heroes are classified under each element because of a skill or two that utilize such elements, there are plenty of heroes that have non-elemental attacks. These elements may have hardly noticeable effects early in the game, but later on, especially tougher boss battles, be sure to be ready with a team sporting a variety of available elemental attacks. Star Ratings are important to consider as well to determine which from among the heroes you have gathered should be invested on with time and resources. As higher stars do offer some advantages, you may want to settle for characters that are at least 4-star class. Do take note, however, that some 3-star heroes can reach 4 stars later on. To be sure that you can clearly identify which heroes can further be promoted to a higher star level, be sure to view the “More Details Here” button at the bottom of the Gallery of Dreams Page to view the full list of obtainable characters and their respective max star level. Every new level your hero reaches comes with 1 ability point that you can use to boost that heroes stats or unlock some skills. As soon as you level up, remember to check the character’s status and click on the Ability Board. The Ability Board is pretty straightforward as you spend 1 ability point to unlock 1 boost and follow the line down to the next unlockable stat increase. There may be split choices later on in its path but it still comes down to the same end. What you would want is to just follow the line especially when you have decided on one of two choices later on. In any case, you will be able to unlock everything once your character reaches maximum level and it’s just a minor case of stat prioritization a little earlier on. Be sure to always remember doing this as the increase in stats provided by the Ability Board unlocks dramatically improve each hero’s performance in battle. More so if there are skills that you unlock along the way. You should make it a habit to visit the board regularly, especially if you are switching between several characters in your playthrough. Despite going through all the quests you have unlocked and accomplishing each of them, your heroes levels will more likely be just enough or barely comparable with what is required to defeat the end-boss per chapter. More so, as you stride forward through the game’s story, the battles slowly become even more challenging despite being at par with your enemies’ levels. Playing normally, you will notice that your heroes levels will be closely matched to the random monsters that appear on the fields, keep in mind though that the end boss whose level is unknown, will have a little higher level than the average mobs. As Another Eden is a game where your time and dedication invested can clearly reflect the to the outcome of the battles you engage in, grind as much as you can to raise your heroes’ levels well above what is required. Another set of important rewards for grinding are different materials you can obtain after each successful battle. These materials can automatically be sold to the blacksmith in town to earn you money to buy equipment for your heroes. By playing just normally, you will probably earn money enough to outfit 1 or 2 heroes with the best equipment in town. If you want to fully equip all 6 members of your party, then grinding for money is your only way to do so. You may want to fully equip your top 6 characters and just leave the rest to wait for handed down gears as it will become tougher and tougher to purchase higher levels of equipment as they become available. There are milestones to reach as well which may be difficult to earn following a normal, straightforward run through of the quests available in Another Eden. To view the list of accomplishable milestones in the game, check the Awards section of the Records, which you can access through the Menu button on the main screen, and see how close or far you are towards reaching a certain goal. There are a lot of objectives requiring you to defeat a certain number of enemies and without grinding, you won’t be able to reach those goals as fast. What makes this all too important is that each task rewards you with at least 10 Chrono Stones so if you want to earn more of these stones to add more heroes to your roster, grind away to your heart’s content. You can have four characters on your main team and 2 more reserves when you enter a battle in Another Eden. Though earlier on you will only likely be needing the 4 main ones against mobs, the long travels across vast fields can take its toll on all four characters. The primary reason why you need to switch characters out is because characters in the reserve slots regenerate HP and MP each turn. Depending on how much damage they have taken and how often your heroes utilize their skills in combat, they will need to rest it out at some point. On a more tactical note, heroes on the reserve slot to swap into battle activate Valor Chants. Valor Chants are unique abilities on each character that provide buffs to the entire team in battle or debuffs to enemies in combat. These abilities are very much important to utilize in battle especially in long ones that involve tough bosses. As you decide which heroes from among your roster are worth investing on, then you may want to take Valor Chants in consideration as well. Though you can farm materials from monsters in the areas outside of each town, it helps to boost your earnings if you venture through various locations to tap on glittering areas in towns and even outside as well as pots or anything else you can interact with. These shining spots will regenerate in about an hour or so and you can once again tap on it to earn more materials. These materials form part of the inventory which you can automatically sell to the blacksmith to earn money you need for purchasing better equipment for your heroes. As such, you can never have too many of this materials so take every opportunity to earn more by paying attention to the backgrounds and surroundings. There are numerous treasure chests as well scattered across each map and while some are clearly visible, others are hidden. Take some time to explore each new map you head into as some of these chests can reward you with expensive materials. This is a good side objective when your farming for experience points in a particular map in preparation for an oncoming boss battle. Be sure to check your inbox each day as you will receive 20 free Chrono Stones via Lynx Delivery at around 15:00 (UTC). You can access your inbox by tapping on the menu icon and clicking on the right-most icon. In the gallery of dreams, you can click on the plus sign beside the Paid Held Chrono Stones counter to take you to the shop. When you reach the page the top option will instantly give you 10 free Chrono Stones just by clicking on it. There are still a lot of things to explore in Another Eden but for now, this is all we have for our beginner’s guide. We hope you learned a lot from our guide and that reading it has become enjoyable for you as well. Again, considering the relative simplicity of Another Eden’s game mechanics, your progression and journey towards finishing the chapters rely on the time you can allot on it as well as your dedication. 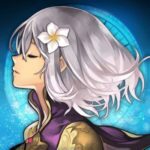 As we dive further into this game and try to discover more tips and strategies later on, we may return with an additional Another Eden guide. If you know additional tips or tricks that you feel should form part of our guide and would like to share with us, don’t hesitate to let us know through the comment section!